There is nothing better than traveling! However, planning and creating the perfect trip for other travelers can really be as much fun as traveling yourself! That’s why I decided to work in the travel industry because every trip I plan becomes my own dreaming trip! Every time I work on a new itinerary, I feel as enthusiastic as when I book my own journeys… I feel curious about other people’s wishes for their travels, so I try to find the exact factors which will make the trip just memorable! "I work as a travel specialist at Discover Italy which is a dynamic travel company specialized in responsible tourism, hiking, cultural and food tours all over Italy. We want our travellers to experience the authenticity of Italian regions and, to ensure that, we make sure our suppliers and itineraries express the local identity. "I’ve always been curious about other countries, languages, and cultures; I spent a few years abroad in Spain and London for my studies and I got the opportunity to meet people from all over the world, sharing stories and experiences with them. When I took my Master degree in Tourism Management in London, I realized that my mission could have been to help other people appreciate and experience Italy the way I do, so I came back to my hometown in Sicily and specialized myself in incoming tourism. 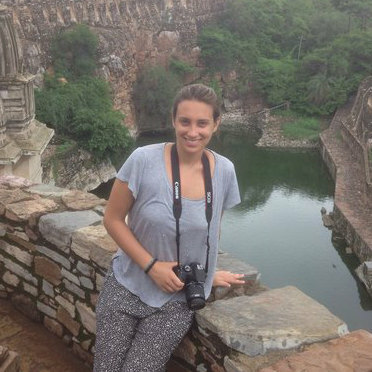 "I think that the best travel experience which I will never forget is the camel safari I took in Jaisalmer, India! I loved the feeling of being driven by this nice camel with its funny face along the desert…I felt in complete peace with myself and with nature and I realized that each of us belong from one same world, regardless where we come from….just perfect!" Discover the sights and delights of Italy on this week-long highlights tour. Visit Rome, the Eternal City, Florence the Renaissance Jewel and Venice one of the world's most romantic cities. Then head to the picturesque Tuscan countryside to taste its tradition, culture and famous Italian food and wine. Dominated by volcanic peaks, some of them still active, Sicily and the Aeolian islands offer dramatic, rumbling cones, stunning coasts, and fertile interiors. Explore the beautiful Aeolian Archipelago, made up of 7 diverse islands including Lipari, Vulcano and Stromboli, whose active volcanic cone dominates the horizon. The literal highlight of this trip is the climb to the top of Mt Etna, Europe’s largest active volcano, with its combination of nature and the uncontrollable essence of fire. During your trip you will enjoy panoramic walks, wonderful beaches and excellent Sicilian food and wine. Could have had better maps for the trail in Lipari and more options with boats from Lipari to other islands. Antonella was above the call of duty. Answering so many questions, putting up with my friends (who then later didn't join the trip! ), making changes at the last minute for me. She really knows her stuff.